When my mind is cluttered with a mental “to-do” list, I know it’s time to pull out a piece of paper and write it down. Once I put it in writing, it frees me from feeling like I have to keep it present in my thoughts lest I forget it. The list no longer clouds my thinking and it allows me to focus on the task at hand. My anxieties can do the same thing–they clutter my mind and create quite a whirlwind of distraction. Whatever I’m worried about regarding the future steals my attention from the present. Sometimes I’m not even sure what the whirlwind is about. I just know I’m unsettled. So if you’re like me and find that a “to-list” is helpful, you’ll also find help in the “to-worry” list. The simple act of listing the worries, giving them a name, takes away some of their power of undercover distraction. And unlike the “to-do” list, we have someone else who will take care of the worries. God offers to take our worries, and give us peace in exchange. 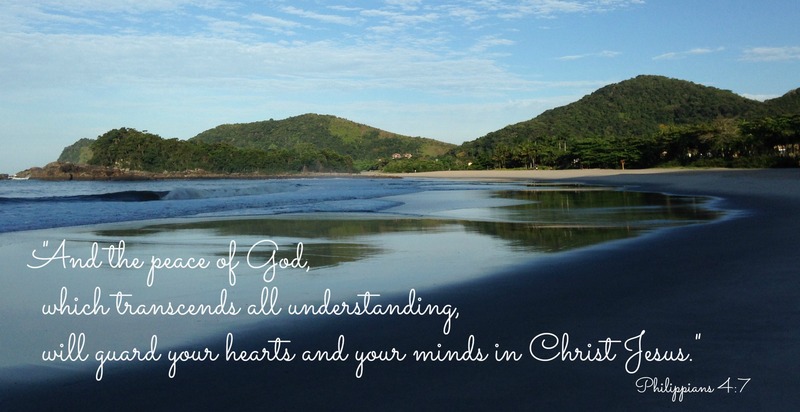 I want to share a way to use Philippians 4:6-7 as a prayerful exercise. 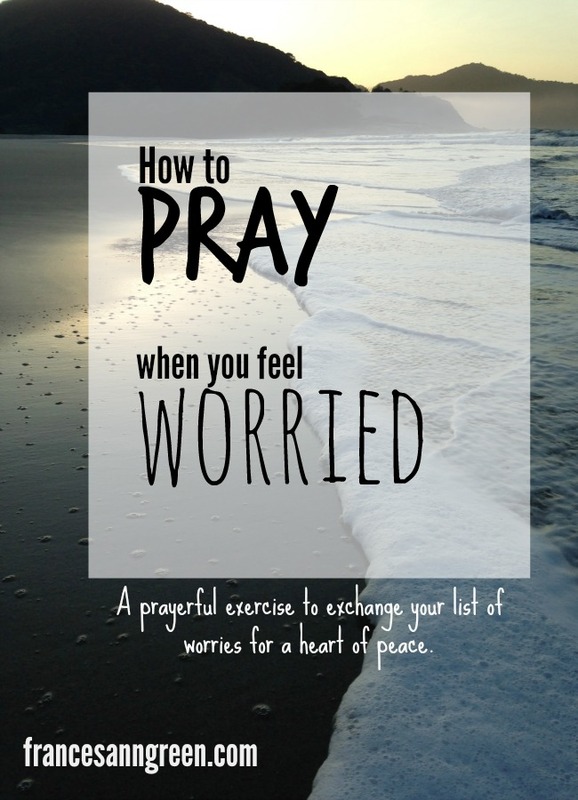 The exchange of my “to-worry” list for a heart of peace has often helped me through the years. Hopefully you will find it helpful as well. Find a quiet place to sit with a pen and paper. Relax the body and mind, breathing slowly and deeply for a couple of minutes. Invite God to be present amidst your anxieties as you read Philippians 4:6-7. Pay attention to the anxieties cluttering your mind and make a list. If you’re worried about it, then write it down. Anything goes, so don’t try to convince yourself that you shouldn’t be worried. Just add it to the list. And while you’re making the list, don’t try to resolve the issues (or tell God how to resolve them). Just list the worries. Now it’s time to be thankful. Review the list and beside each item write what you can be thankful for. You can do it (it gets easier with practice). Present the list, with gratitude, to God. Let go of the worries. Really. Imagine yourself lifting up your worries to Him and He takes them from you. This is the hard part. Resist the temptation to grab the list back from him or the desire to hide a copy of it in the recesses of your mind. Truly, give your worries to him. Close your prayer time in thanksgiving. The prayerful exercise sounds easy, but it’s not. It’s easy to make the list. Not so easy to let go of it. So don’t be surprised if you find yourself doing spiritual push ups with the “to-worry” list. It’s hard work, but your heart will be stronger for it. And thankfully, God is faithful. He is always there to receive our anxieties, however many times we lift them up to him. And He always pours His peace into our heart and mind.